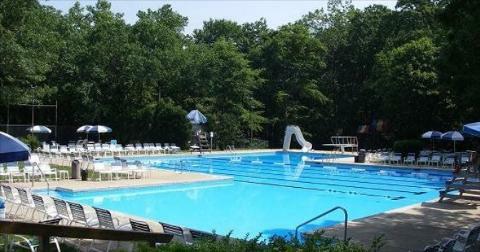 Located in the community of Cherry Hill, NJ, Willowdale Swim & Tennis Club is a private, not-for-profit recreational swimming facility. Our family-friendly swim club offers the perfect summer escape to cool off and relax with family and friends. Our Club is conveniently located in a peaceful, wooded setting with ample off-street parking within the Willowdale community. Willowdale welcomes many members from neighboring communities all over South Jersey. Members enjoy access to our pool for recreational swimming, swim lessons, swim team, social events and more. Highlights of our facilities include newly resurfaced tennis and basketball courts and a full service snack bar! We are fully committed to providing families a fun, friendly, clean recreational swim club to enjoy all summer long! Our swim team offers high quality professional coaching and technique instruction for all ages and abilities. The goal of our team is to provide every member an opportunity to improve swimming skills and achieve success at his or her level of ability, from novice to year round competitor. The Willowdale Dolphins currently compete in the "C" Division of the TriCounty summer league. Our phone number during the summer season is (856)428-8180.